A new dawn is breaking in health care consumerism. Radiology practices face increasing pressure to provide personal service to patients and referrers in the ever-changing and complex health care system. Patient satisfaction becomes more important, too, as increasing deductibles and copays raise consumers’ stake in health care. As hospitals adapt to changing care and payment models, their administrators expect greater collaboration and cooperation from radiologists. Part of this new dawn includes adding some new thinking about productivity. Though productivity traditionally links compensation to relative value units (RVUs), this approach actually can deprive the practice of valuable insights that may prove helpful in the changing environment. Incentivizing only clinical productivity can result in radiologists who refuse to focus on important, nonclinical work because they won’t get paid for it. That’s where the idea that “you only get out of it what you put into it” comes into play. It is time for groups to consider new ways beyond clinical productivity to incentivize their physicians. Don’t get me wrong—clinical productivity is important, but one way to resolve conflicts and offer a fresh opportunity for strategic thought is to define the practice’s other goals that also are important enough to incentivize. Some radiology practices are finding that they have much to gain from developing formulas that reward for more than clinical productivity. Common examples of productive nonclinical activity include participating in hospital boards and medical executive committees, engaging in referring physician outreach, participating in activities related to comanaging the hospital’s imaging centers, and conducting lectures and other teaching program activities for residents in hospitals and other learning facilities. 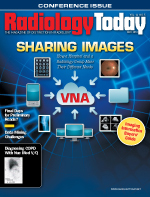 Formalizing and incentivizing these nonclinical issues can help resolve many common radiology practice woes and provide an outlet for strategic thinking. A practice can define the goals it sees as important enough to incentivize, solidify its vision for a value proposition, and then deliver it to patients, referrers, and affiliated health care organizations. Practices can take various approaches to measure both clinical and nonclinical productivity. For instance, the RVU, or basic unit of measurement for radiologist productivity, can be used to map each individual physician against the amount of time he or she works to develop an average-RVU-per-hour figure. This figure then can be applied to the amount of nonclinical time the practice partners deem to be appropriate across multiple sectors of physician activity. Clinical and nonclinical RVUs would be measured and tracked separately, but the results of similar initiatives have yielded much success for many of the top producers of clinical RVUs in the radiology practices with which my company works. One way to abate overly emotional discussions regarding workloads and productivity is to define and quantify the value of all activities. For example, radiologists who have less clinical productivity might spend more time on activities that would assist the practice in other areas. The reverse is true for radiologists who are very productive clinically but do little to enhance the practice’s greater goals. Meaningful conversations could bring to light the fact that all these activities, from a productivity standpoint, are for the practice’s greater good. Some practices make these adjustments naturally. For example, it is fairly common for a veteran radiologist to have relationships with hospitals and other physicians, which often is central to the group’s success and security. Many times the group sees that value and understands that although the older radiologist may not have quite the same RVU output as other partners, he or she provides business value for the practice. It’s also true that some physicians don’t recognize that value and believe that all physicians should produce the appropriate clinical RVUs and handle the nonclinical aspects as well. Measuring and incentivizing such activity can reduce friction when everyone better understands the different kinds of value to a practice. A discussion about nonclinical productivity can lead a practice to meaningful strategic thinking and help partners define goals in a way that is concise and more easily deliberated. The practice can balance the scales between clinical activities that drive the business and nonclinical activities that can help grow the business. Clinical productivity still is a primary driver in annual volume, but radiology practices should be more diligent about the strategic discussion that analyzes nonclinical activities in order to stabilize or increase volume. • Analyze and benchmark average clinical productivity. • Determine values that should be placed on appropriate time units. This could, for example, convert to one hour of work. • Initiate a conversation among partners about which nonclinical activities they want to incentivize. Bear in mind the areas that you might measure: integration with the hospital community and medical staff, interaction with referring physicians and/or patients, marketing activities, or participation in the comanagement or management of outpatient imaging facilities. • Make the formula flexible and subject to annual review. • Revise the formula or areas as the practice’s needs change or if it becomes clear that an activity is not as important to the practice’s well-being as originally was thought. • Apply the measures toward the practice’s greater strategic goals. • Annually assess a change’s impact on the practice. The ultimate goal is to competitively position the practice in its market and link the discussion to financial incentives quantified by data. In doing so, practices will achieve a tangible plan and an understanding of those nonclinical activities that best support its goals. To that end, radiology practices that consider and implement both clinical and nonclinical measures are poised for a successful future in terms of strategy, stability, and growth. — David A. Myrice, CPA, MBA, is a senior finance manager and practice administrator with Medical Management Professionals, Inc.